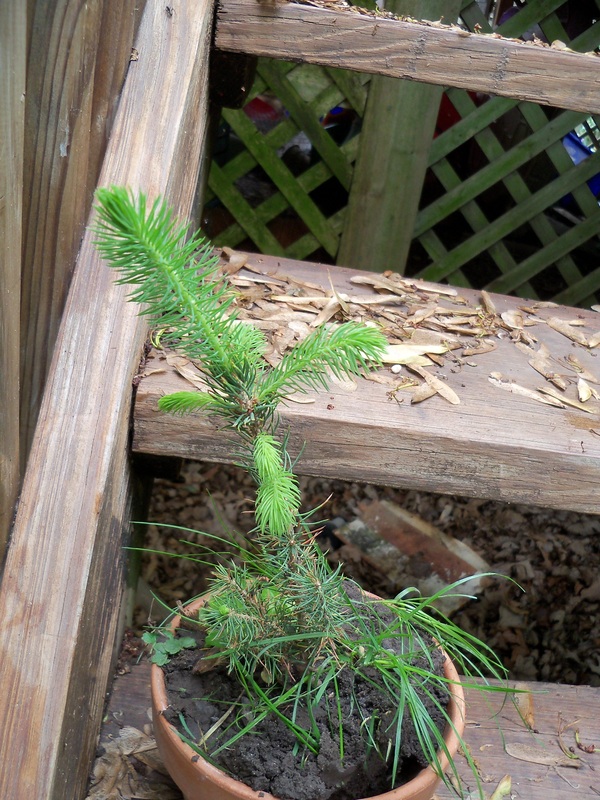 Spruce has almost doubled in height this spring, but now it’s in a pot, waiting to be taken to an MMU student. Well, Audrey pulled the ace. She bought a tether ball pole, which she stated should logically be placed in only one spot. Right where the spruce tree is. And, blog friends, she probably was right. Looking around the back yard, the sandbox on one side, the swing set in another corner, a central level play area—where was there room for a tether ball pole? Well, some snipping with needle nosed pliers and some tapping with the “sleeve” resting on a rock slowly reduced the diameter of the sleeve until the second piece could be worried onto it. So now I have a pole where a tree used to be. While I would not generally consider this a positive thing—I favor trees far more than poles—in this case it sort of works. Audrey had already promised a spruce tree to a student, so now she has one to take into the office. 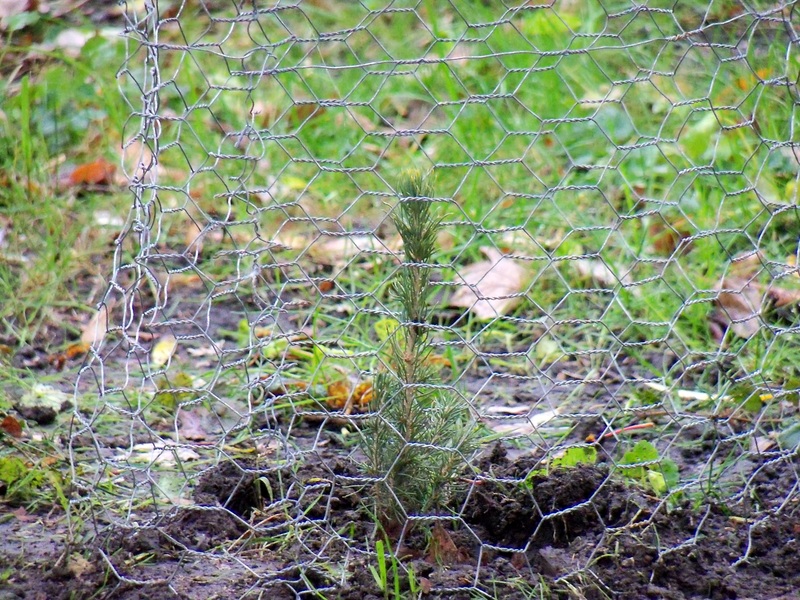 And two other spruces, courtesy of last fall’s project, are still in the ground in the little stand of woods behind our fences. And, anyway, most of the baby Arbor Day trees that I have in pots are well awake and ready for planting. I guess, given that I’ll gain at least five baby trees in my yard, I can spare a spruce. So I hereby declare a spruce truce. No needle whining, no evergreen tears. It’s gone, but it’s going to a good home, I hope.